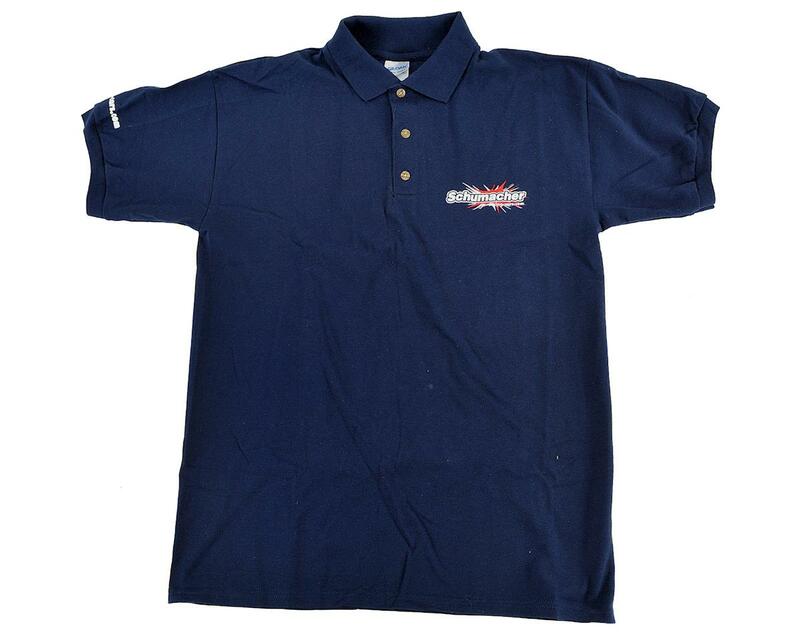 This is a navy blue Schumacher Polo T-Shirt. 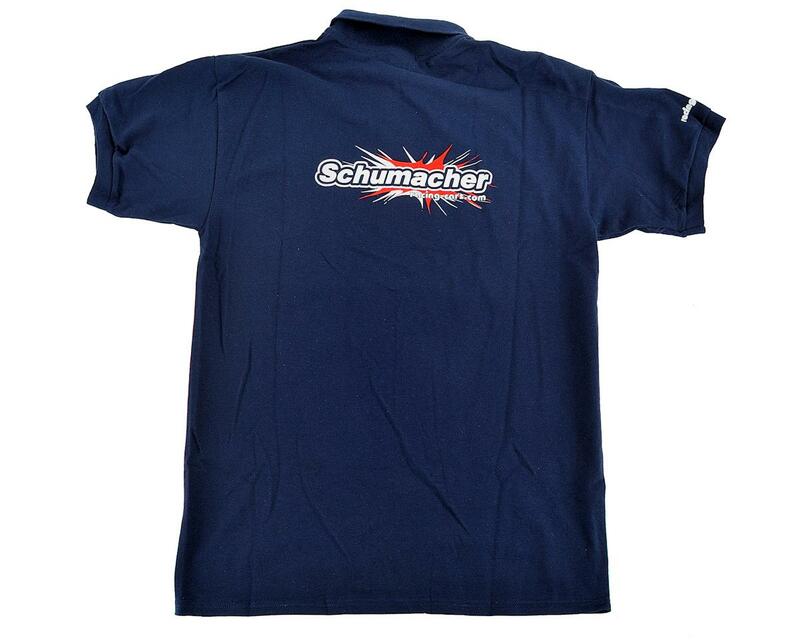 This polo t-shirt features a small Schumacher logo on the front left and a large centered logo on the back side. Three front buttons and a collar complete the package and the shirt is available in a variety of sizes.